Along with providing a strong national voice for the profession of Opticianry, the OAC is continuously working to provide members with a wide range of tangible benefits, exclusive savings and a variety of free services. Listed below are many of the advantages and benefits of being a member of the OAC. Membership really does pay for itself! Together with Western Financial Group, the OAC is proud to provide a FREE* $1,000,000.00 personal Professional Liability Insurance policy that protects its members from lawsuits for damages claimed by a third party, resulting from a professional error or omission or negligent act, committed during the course of their activities as an "Optician". Many provincial regulatory colleges require that Opticians carry their own personal Professional Liability Insurance policy to obtain and maintain their license. For more information on the OAC PLI policy, CLICK HERE. OAC Members receive access to an online library of over 100 continuing education courses through the OAC Online Continuing Education Library. With a one-year membership, OAC members receive 4 FREE online continuing education courses from the OAC Online Continuing Education library. The OAC Online CE library provides instant access to professional learning required for maintaining professional competencies. 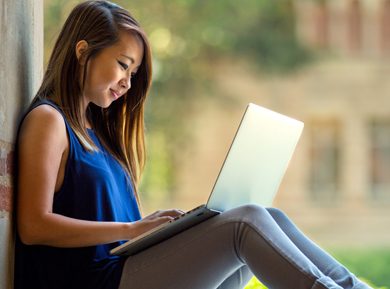 OAC online courses can be completed at YOUR convenience and in the comfort of your own home. Choose an online CE course, read the article, complete the test & print out your CE certificate. It's as easy as that! *Members must use their free online CE courses within the same year of membership. Free courses cannot be carried over to another membership year. OAC members receive significant savings on registration fees for most OAC hosted events and many provincial Optician education events. This often translates to a savings of 50% off the regular registration fee and sometimes MORE! Visit oaclive.ca for more information on upcoming events. The OAC wants to help our Optician members remain at the top of their professional learning commitment. The journey through the OAC-M program is invaluable in both its new content and reviewed skill sets. Canada has great Opticians; the OAC wants to ensure our members are educationally current and are always willing to learn. We want to demonstrate to our peers all across the world our members are GREAT Opticians, that have taken their education seriously and are practicing at the top of the field. The OAC-M program consists of three (3) Levels. Each Level consists of four (4) in-person learning courses, an in-person review and an exam covering all 4 courses. Upon completion of all three (3) Levels, a member may participate in the final program exam. More information to follow regarding Level Two (2) and Level Three (3) . Only OAC members who have successfully completed Level One (1) will be able to participate in subsequent levels. Click here for upcoming OAC-M dates. OAC members (and up to 4 eligible family members) have the opportunity to save up to 45% off regular GoodLife Fitness Membership rates. Already a GoodLife member? Great! You have the option to transfer over to the corporate program without penalty. The OAC is excited to announce our partnership with Park’N Fly that will provide discounted rates and the ability to earn Aeroplan miles to our members. OAC Members will be able to take advantage of Park’N Fly’s “Best Value” in Airport Parking for business or personal travel. Contact Lens Spectrum, the leading source of clinical contact lens information for optometrists, opticians, and ophthalmologists, is offered to OAC members at a discounted price of $50.00 (reg. $80.00) for a year subscription of print copies. Contact Lens Spectrum provides constant updates for contact lens fitters on new products and topical articles, and is published monthly. Each issue offers timely editorial on overcoming complications, utilizing new technologies, gaining patient compliance and more. Jobs 4 ECP's is a niche job board site that targets the entire eyecare industry to attract highly qualified eyecare professionals. Jobs 4 ECP's provides cost effective job postings, resume searches, an eyecare marketplace, a community forum and a new vendor directory. OAC Members receive a discounted rate to post employment ads through Jobs 4 ECPs, and can post their first employment ad at no cost. The OAC has negotiated a discounted rate for our members to join the Retail Merchants Association of Canada Inc. Membership with RMA entitles you to participate and benefit from all the value-added programs and services at no additional cost. Such benefits include, discounts on fuel, payroll services and CAA. The OAC and International Vision Expo partner to provide OAC members with special privileges at Vision Expo events. Open an untapped facet of your business by securing safety contracts with industries in your area. The OAC's Canadian Safety Eyewear (CSE) program will allow its members to provide industries with best prices on safety frames and lenses with all administrative work done for you by the OAC. For more information, on the Canadian Safety Eyewear Program, CLICK HERE. To help you take care of the people who rely on you, National Bank offers an exclusive financial package for Opticians. You’ll get a host of advantages on your bank account, as well as your financing and investment solutions. You’ll also obtain advantageous interest rates on your lines of credit, mortgages and investments. We'll provide sound banking solutions for your personal and professional needs! Western Financial, in partnership with the OAC, offers OAC members the Opticians Employee Benefits Insurance Program. This program provides comprehensive life, disability, health and dental plan options for you and your employees. Programs are flexible to your needs and provide immediate savings off existing premiums for equivalent coverage. For more information, CLICK HERE. 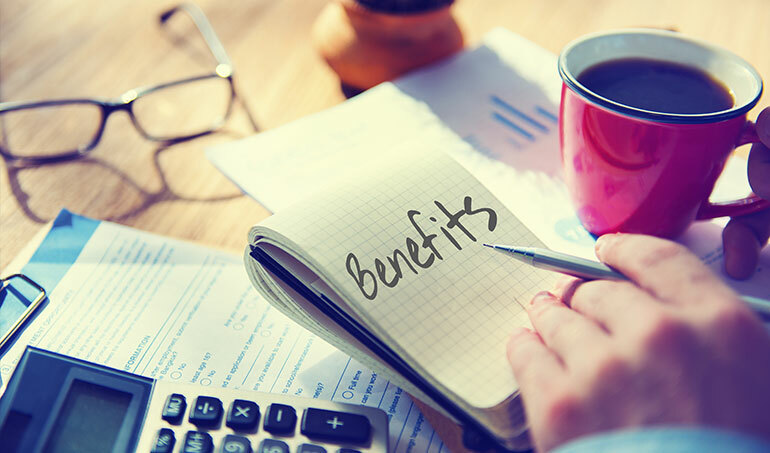 *Please note, in order to qualify for the program, you must already have an existing employee benefits plan in place with 5+ more employees participating. Through partnership with The Personal Insurance Company, members of the OAC qualify for exclusive group rates on automobile and property insurance. This program gives members access to group rates for their personal insurance with the potential for significant premium savings. Stay 'in the know' with communications from the Opticians Association of Canada, including the OAC's monthly e-newsletter called The OAC INTRACOM and additional news updates sent via email. Communications sent from the OAC office are sent in both languages of English and French, so members can choose their language of preference. OAC Members can change their communication preferences at any time by logging into their member profile, or by contacting the OAC office.